I’ve seen some media slash ranching as barbaric, but those of us who live it know the truth–we treasure new life. We are joyful over every successful birth. 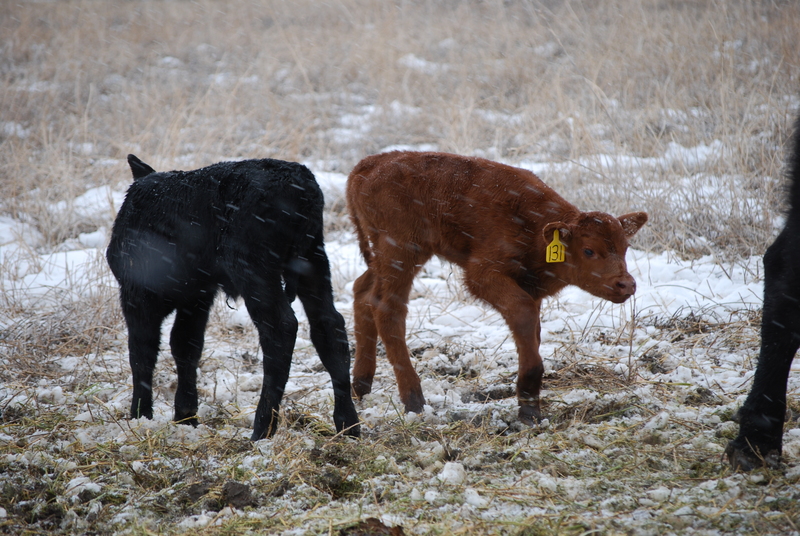 We laugh when calves race each other in the pasture, often before they really know how their legs work! Our hearts break when loss occurs. We’ve been blessed to not have much death among our cattle, but every once-in-awhile, something happens that is outside our control. Life is of value and it is so joyful to watch the young ones teetering around, following mom, and exploring their environment. I’m grateful for spring and the refreshing feeling that comes with it. There is always something new, something being celebrated, out in the fields. Here is a noteable birth we are still talking about--a few years ago we had twins--one red and one black!